Visual Studio Code>Themes>Material Theme IconsNew to Visual Studio Code? Get it now. 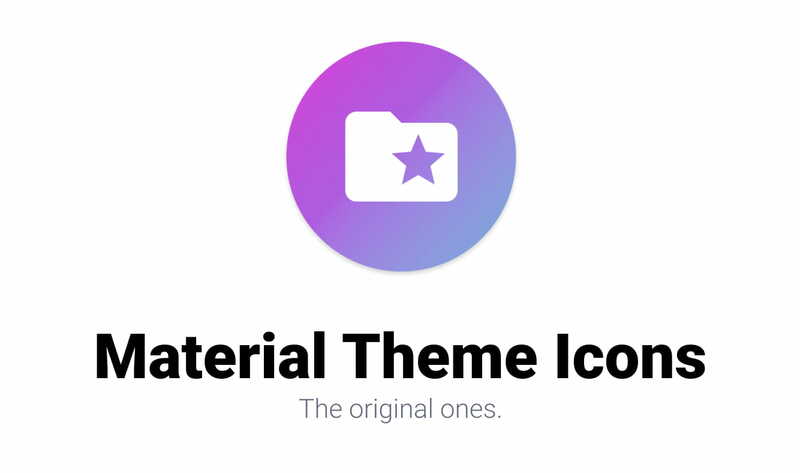 Material Theme Icons, the most epic icons theme for Visual Studio Code and Material Theme. The most epic file icon theme for Visual Studio Code. This icon theme is made to be used with Material Theme for Vscode for an immersive experience. You can install this awesome icon pack through the Visual Studio Code Marketplace. And pick the one by Mattia Astorino (me) as author. Type icon theme, choose Preferences: File Icon Theme, and select one of the Material Theme Icons variants from the list. After activation, the icons will appear in your explorer sidebar. If you notice that the folder icons do not match the active Material Theme variant, you can fix it with just a command. Type material theme icons and select Material Theme Icons: Fix icons accent. Based on Material Theme from the drop-down menu. This command will set the correct icon theme based on your active Material Theme variant (if present).